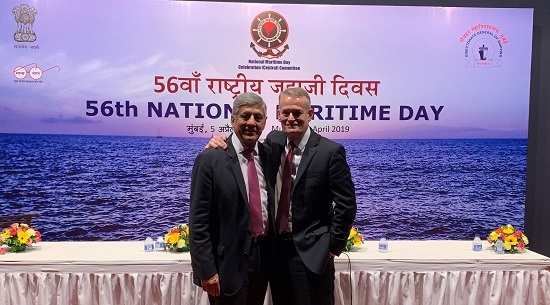 International Group Chair Paul Jennings was guest of honour at the 56th National Maritime Day Celebrations in Mumbai on 5th April 2019 and delivered the keynote address. Details of the International Group 2019/20 reinsurance programme, and a schematic showing the programme structure, may be found under the Reinsurance section of the website. The International Group has issued guidance to shipowners highlighting the risk of entering into activities with DPRK interests in breach of international sanctions. Joint industry Guidelines for the carriage of Divinylbenzene (DVB) in containers have been published by CINS (the Cargo Incident Notification System), the International Group of P&I Clubs and the TT Club.